Increased usage of earth moving equipment in construction activities is driving the growth of the sector. Let’s take a look at this market in India. The global heavy construction equipment industry is projected to grow at a CAGR of 6.80 per cent from 2015 to 2020 of which the heavy earthmoving equipment is the fastest growing segment across the globe and India is no exception here. Large investments in urban and rural infrastructure, such as the building of IT parks, shopping malls, highway networks, residential areas, roads, ports and irrigation systems is driving the demand for heavy earth moving and material handling equipment industry in the country. The Indian construction equipment sector is made up of five main segments, namely, earth moving equipment, road construction equipment, concrete equipment, material handling equipment, and material processing equipment. Out of the five, heavy earth moving equipment and road construction equipment segment accounts for close to 70 per cent of India's construction equipment market. In fact, the earth moving equipment industry is the fastest growing segment in the heavy construction equipment market not only in India but across the globe. Coming to the definition of earth moving equipment, then they are generally referred to as heavy equipment or heavy-duty vehicles designed especially for executing construction operation which mostly involves earthwork operation. They are most commonly used in the construction industry to move large amounts of earth or to dig foundations and landscape areas. The heavy earth moving equipment operate through the mechanical advantage of a simple machine where the ratio between input forces applied and force exerted is multiplied. They mostly use hydraulic drives as a primary source of motion. 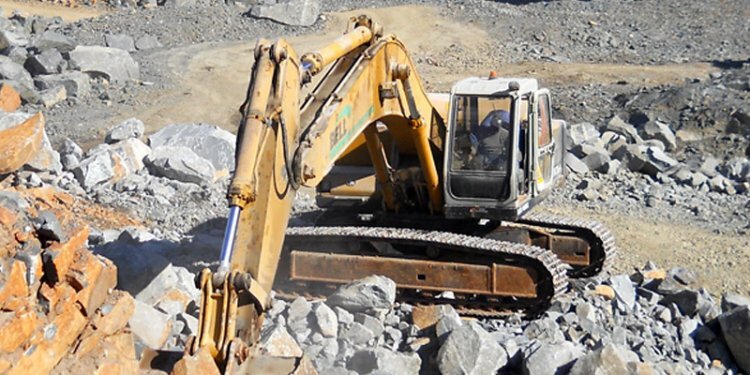 On the basis of operations performed by the various machines in the segment, the earth moving equipment industry can be bifurcated into excavators (compact excavator, dredging, dragline excavator, front shovel and others), loaders (skip loader and wheel loader), backhoe loaders, construction tractors and others (grader, scraper, track loader and material handler etc). Out of all, backhoe loaders account for 65 per cent of heavy earth moving equipment segment. As a matter of fact, India is the second largest market for backhoe loaders in the world. The market for backhoes is spreading eastwards, largely due to the way in which India is making progress in the infrastructure segment. Backhoe loader segment is perhaps the only one in India amongst heavy construction equipment that has reached a stage of maturity. What is Earth Moving Equipment?